The responsibility of your fine European Vehicle’s steering and suspension is to keep the wheels firmly on the road without veering to ensure your car’s stability and balance. 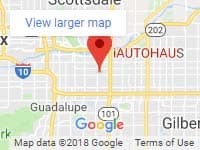 iAutoHaus in Tempe, Arizona provides professional steering and suspension repair for European import vehicles in Arizona including BMW, Jaguar, Mercedes, Maserati, MiniCooper, Volkswagen, Audi, and Porsche. Our ASE Certified technicians are highly skilled in power steering and suspension diagnostics and repair for exotic European automobiles. We’ve proudly served Phoenix, Chandler, Gilbert and Queen Creek since 1997. 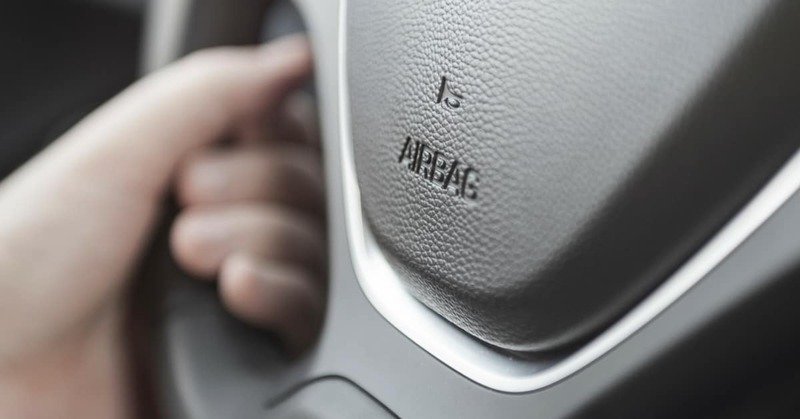 Unbalanced Wheels – If you experience a shaking steering wheel as you accelerate, this may be due to unbalanced wheels. Do not ignore this problem; it can become very dangerous at higher speeds. Power Steering Pump Failure – A failing power steering pump will cause a moaning sound when you turn and can make the steering wheel very difficult to control. Worn Tie Rods – Causing a squeaking sound and making your steering wheel become hard to control; worn tie rods may cause your car to go out of alignment. Tie rods become worn over time and will need to be replaced. Leaking Fluid – If you notice the shocks looking wet or oily during a visual inspection means you have a leakage problem. Although some leakage is normal, a hydraulic fluid spot where your vehicle has been parked indicates that your shocks will need to be replaced as soon as possible. Worn Shocks and Struts – Front end dives when accelerating and rear end dipping when stopping indicates your shocks and struts are worn and need to be replaced. Broken Spring Coils – Most vehicle’s spring coils will last for the life of your car, however they can break. If you notice your car leaning heavily to the side, it may be a bad or broken spring coil. Uneven Tire Wear – When a suspension system issue leads to misaligned wheels that travel at a slightly improper angle, your tires can show signs of uneven wear and tear like bald spots. To maintain and ensure a smooth, comfortable ride for you and your passengers, trust your beautiful European import automobile to iAUTOHAUS. The simple goal of our friendly and knowledgeable Service Advisors and Technicians is a strong commitment to help you determine the source of the problem, and service or repair your vehicle to make sure it runs at the peak performance you’ve come to expect from your luxury import. iAUTOHAUS proudly serves customers in Arizona, across the US and around the world. Our multicultural staff can assist you in Spanish, German, Russian, Polish and Hungarian. We have been recognized by Ranking Arizona as a ‘Top Ten Car Dealer in Specialized Autos’, BBB Accredited and DealerRater Certified.